Paramount Group is now in pole position to take control of the leasehold for Sitt Asset Management’s 2 Herald Square, sources familiar with the negotiations told The Real Deal. 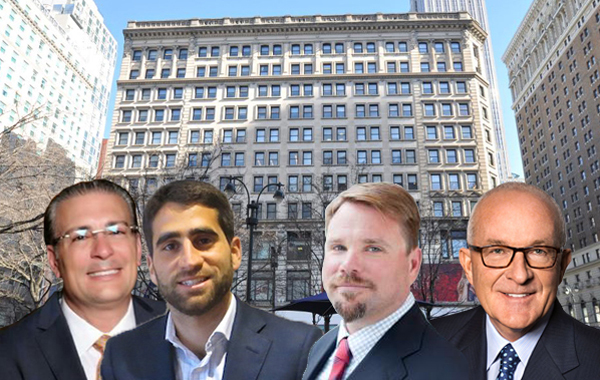 Paramount , a Midtown-based office-centric real estate investment trust led by Albert Behler, would sizably up its stake in the property from the $30 million preferred equity interest it now holds. Sources said Jamestown Properties and Morris Bailey’s JEMB Realty are also in the mix, and in all three possible scenarios, the Sitt brothers would remain in the deal. On May 16, the New York Post reported JEMB was close to securing the leasehold on the 354,000-square-foot property for $350 million. However, several top retail dealmakers at the International Council of Shopping Centers’ RECon in Las Vegas last month said the deal with JEMB was dead. Insiders countered by saying the deal had never been in contract, so could not yet have died. Sitt Asset, Paramount, JEMB and Jamestown declined to comment. The four Sitt brothers – Ralph, Eddie, Jack and David – and their mother own a 51.75 percent stake in the leasehold. The Sitts have had trouble refinancing the property amid ongoing litigation and a longstanding family dispute. In May, SL Green Realty bought $250 million in debt on the property, which court records show has been losing $1.7 million per month. Court documents also show that the property’s operating expenses have been covered by Paramount’s equity infusion, and only $6.4 million remained of the REIT’s equity in November. The funds were not enough to cover the extra costs of executing a lease with WeWork, which is reportedly taking over Publicis’ 122,000-square-foot space at the property. If Paramount were to acquire the leasehold, it would likely be paying a fair bit less than what JEMB and Jamestown did, given its preferred equity stake, though the exact amount is unclear. Paramount’s other major asset on Broadway is the 48-story office tower 1633 Broadway, where its offices are based. A Cushman & Wakefield team led by Adam Spies has been marketing the leasehold for sale since April. Representatives for the firm declined to comment.